Back in August, HMD Global committed to updating their entire lineup of Android smartphones to the latest version. The most recent handset to benefit is the Nokia 6.1 Plus, which is now receiving the Android 9 Pie software update. The Nokia 6.1 Plus follows in the footsteps of the Nokia 7 Plus and the regular Nokia 6.1 which have both been updated to Android Pie. The news of the update was announced by HMD Chief Product Officer Juho Sarvikas on Twitter. 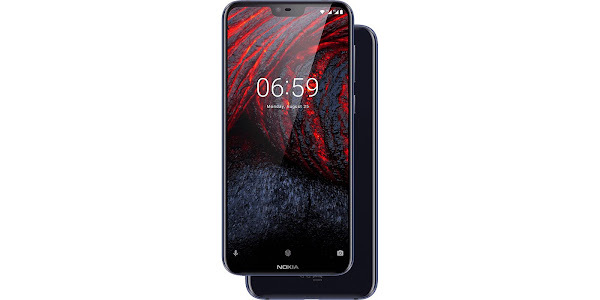 The Nokia 6.1 Plus was initially released as the China-exclusive, Nokia X6. While the handset never made its way to the United States, it is available in a number of international territories. The handset features a 5.8-inch display, 64GB of internal storage with microSD expansion, dual (16MP+5MP) rear cameras, a 16-megapixel front camera, a 3060mAh battery, a fingerprint scanner, and a Snapdragon 636 chipset with 4GB of RAM. With the Android Pie update, the handset now gains features like an adaptive battery, Google Lens integration, a new gesture-based navigation, improved notifications and much more.